Applying for new credit will result in your credit score declining, but not by much. 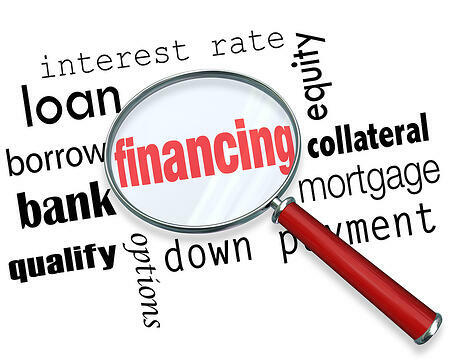 Seeking new credit is equated with higher risk; however, multiple credit inquiries made by mortgage, auto, or student loan lenders within a short period of time are treated as a single inquiry. Homebuyers should not be discouraged from shopping around once they are ready to move forward. The full range of FICO Scores are from 300-850 points and credit inquiries have a small impact on scores, according to the Fair Isaac Corporation, which invented the FICO Score. "For most people, one additional credit inquiry will take less than five points off their FICO score." Most lending institutions use FICO Scores to make lending decisions. What is an inquiry? When you apply for credit you authorize lenders to ask or "inquire" for a copy of your credit report from a credit bureau. That credit report will indicate that there have been credit inquiries from those lenders you authorized to inquire. You may also see listed inquiries by businesses that you don't know or didn't authorize; however, the only inquiries that count toward your FICO score are the ones that result from your applications for new credit. Fair Isaac Corporation's research has shown that opening several credit accounts in a short period of time represents a greater credit risk. When the information your credit report indicates that you have applied for multiple new credit lines in a short period of time, as opposed to rate shopping for a single type of loan, your FICO Score may decline. Inquiries can have a greater impact if you have few accounts or a short credit history. Large numbers of inquiries also mean greater risk. Statistically, people with six inquiries or more on their credit reports can be up to eight times more likely to declare bankruptcy than people with no inquiries on their reports. While inquiries often can play a part in assessing risk, they play a minor part. Much more important factors for your score are how timely you pay your bills and your overall debt burden as indicated on your credit report. Fair Isaac does not treat every credit inquiry the same, as indicated above. Its research has indicated that the FICO Score is more predictive when it treats loans that commonly involve rate-shopping, such as mortgage loan, in a different way. For mortgage loans, the FICO Score typically ignores inquiries made in the 30 days prior to scoring, so if you find a home loan with 30 days, the multiple inquiries while shopping for rates and terms will not affect your credit score. Multiple inquiries during that period will be treated as one inquiry. It should be noted that there are different versions of the FICO Score formula used to calculate scores, with older versions using a rate-shopping period of 14 days and a newer version using a 45-day period. Lenders choose which version of the scoring formula it wants to use to calculate your FICO Score. Homebuyers looking for a home loan should shop for loans within a focused period of time, such as less than 30 days. If fact, the shopping shouldn't take more than a week or two because it doesn't make a lot of sense to be shopping around until after a homebuyer has had an offer accepted on a home. In fact, rate shopping really should take place on a single day to get an accurate picture of available rates and terms because interest rates can change daily. You should be aware that different loan programs will have different interest rates; however, the lowest rate loan might not be the best loan for your particular situation.